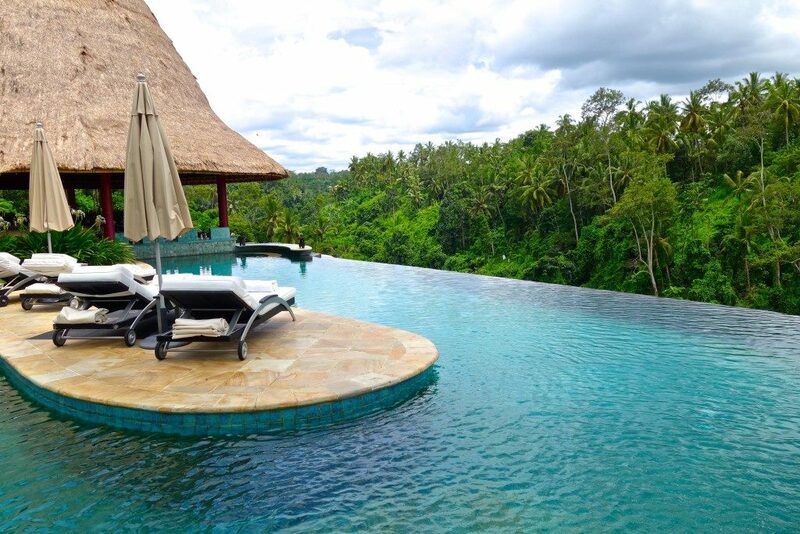 Located in Ubud’s “Valley of the Kings”, Viceroy Bali is the perfect luxury accommodation to those seeking the ultimate privacy and seclusion. 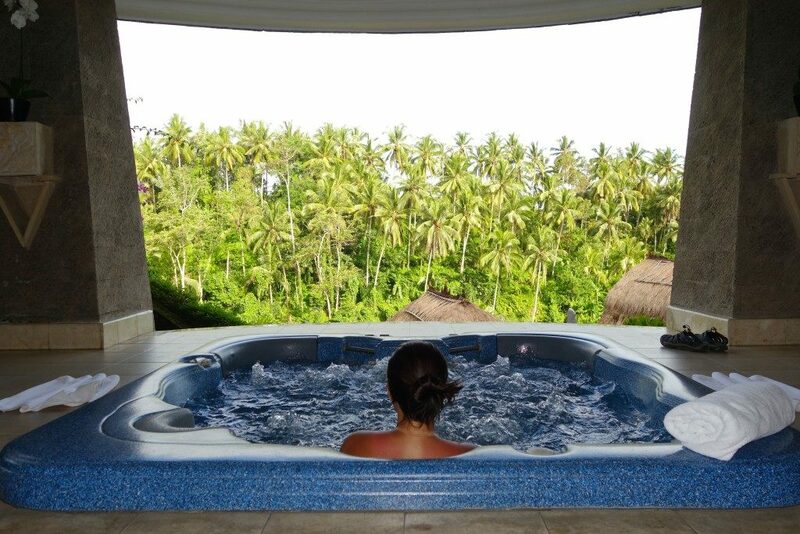 With only 25 villas, this Australian family-owned luxury resort has one (out of 3) helipads located in Bali. Just a week ago, there was a short article online that claimed to prove that those who prefer mountains (for vacations) tend to be introverted and those who prefer the beach are more likely to be extroverted. I shared this on Facebook and it had a lot of mixed reactions. I was a little confused. I love the beach but I’m not exactly 100% extroverted. I think that article was missing an important holiday destination: the jungle and fields perhaps? 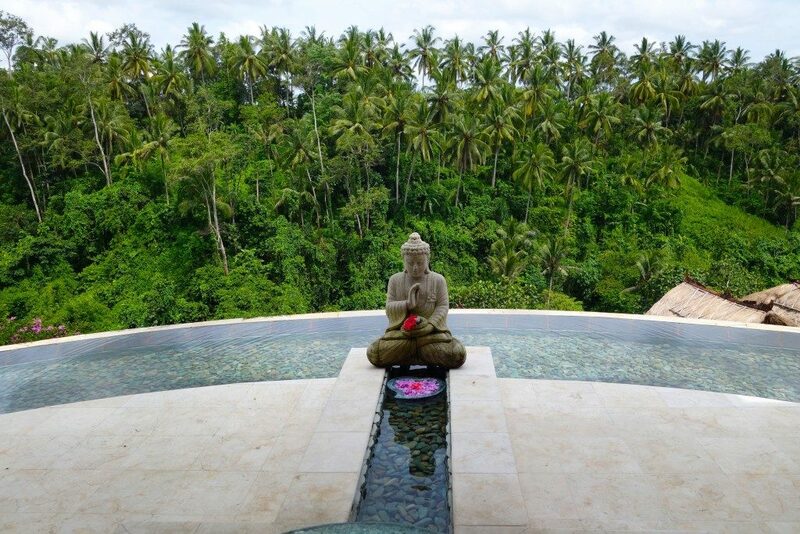 I was in the midst and in the thick of jungle and fields in Viceroy Bali. And this proved to be my perfect location. I tend to prefer water views (hello overwater bungalows!) 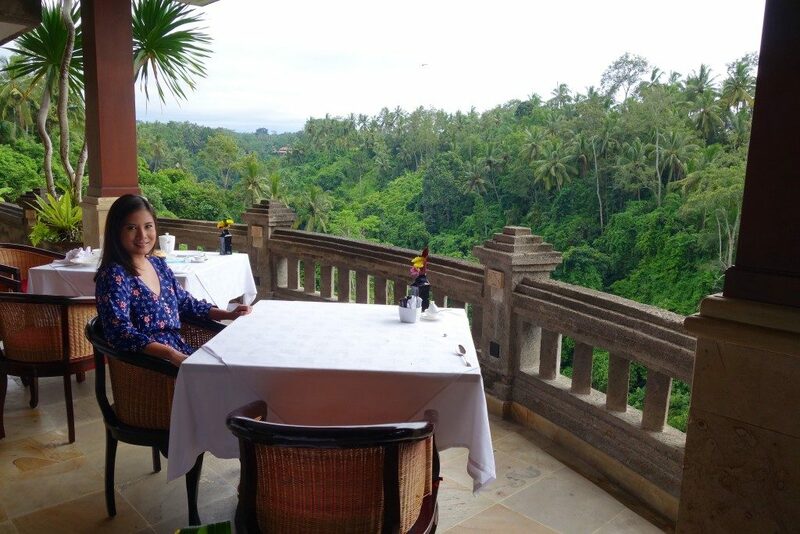 but this luxurious stay at Viceroy Bali opened my eyes to a whole new level of privacy. 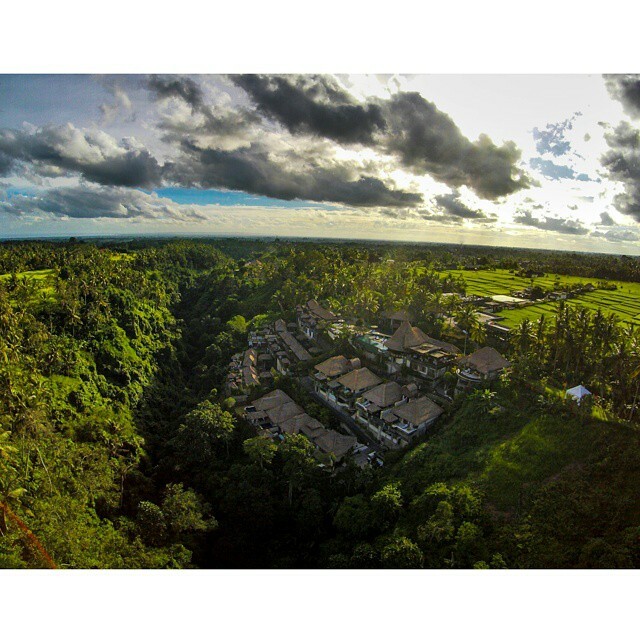 Aerial view of Viceroy Bali. Photo by Zombie! 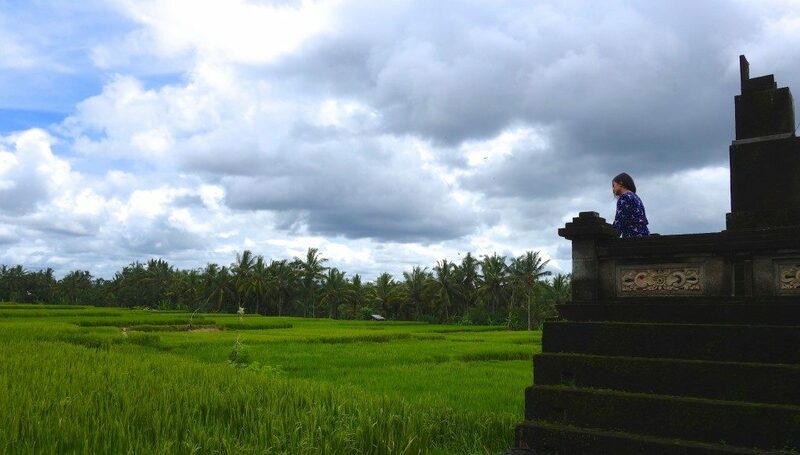 And this is what I mean when I say that the secluded location is forefront: rice paddies in front, and thick lush jungle behind it (with a river in between). There is only one other resort nearby and it’s not even next-door (it’s a long walk or a car ride). We just came from a week in Flores, exploring the Komodo Islands. We were picked up at the airport by Viceroy Bali’s private van. 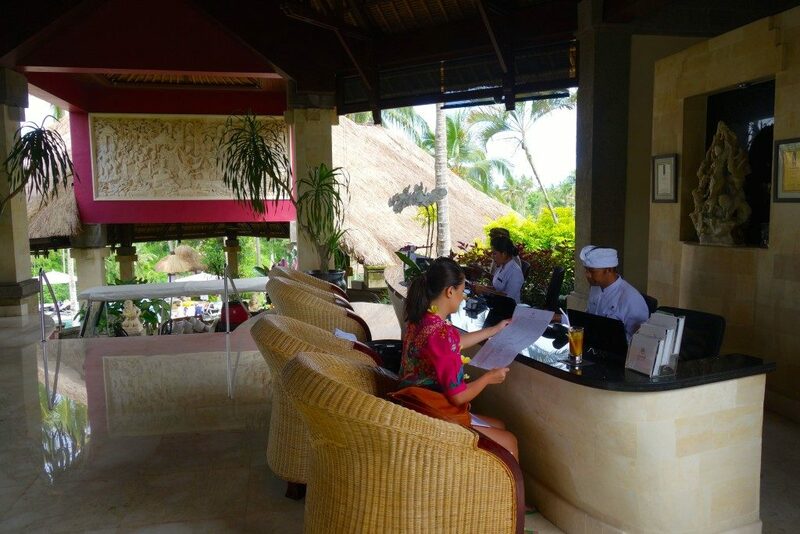 The drive was about 40 minutes from airport to Viceroy Bali with moderate traffic. We were driven to our villa by a buggy. The resort isn’t that big (with 25 villas in all) but there’s a number of hills and as a first orientation to the resort, a buggy was a good choice. After this, we didn’t request the buggy again until check out time. 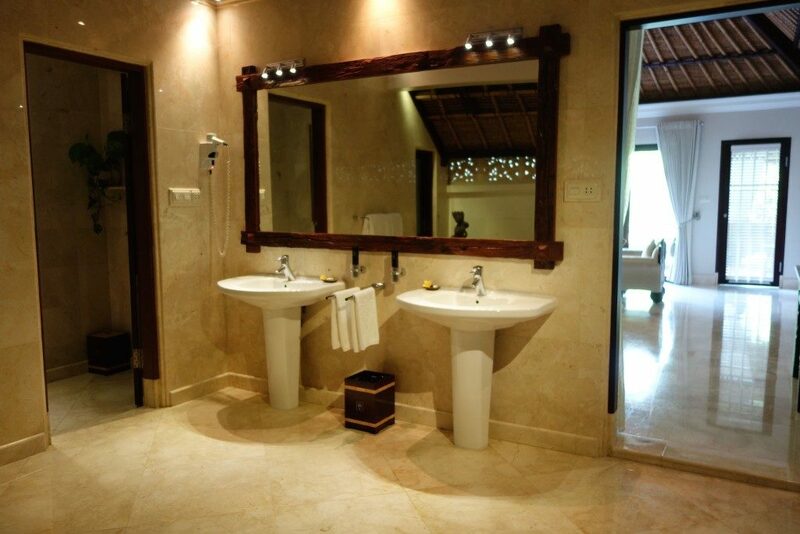 We were checked in a 1 Bedroom private villa measuring 200 Square metres with a private pool and full valley views. The design is contemporary Balinese but I love that the dark wooden accents are just sparse so the room overall is still light and airy. This is the view from the bed and the the sofas generally reminded me of living rooms when I was growing up. 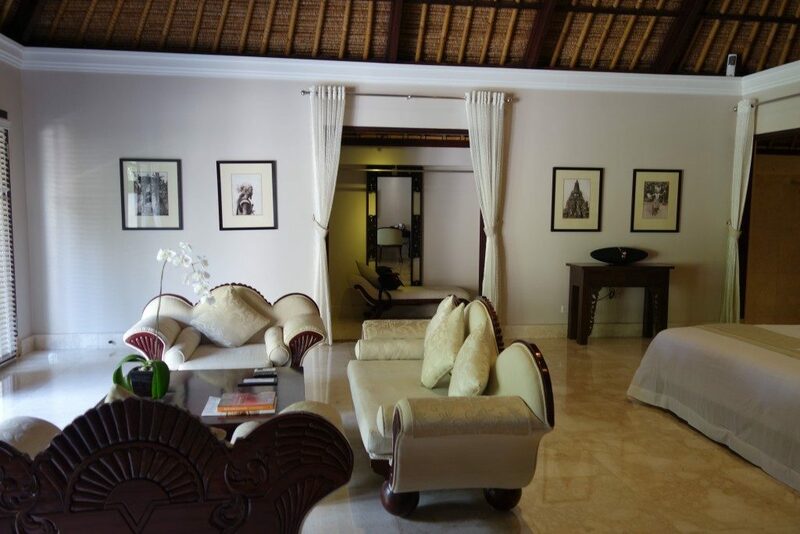 Not to say that the style is dated (not at all) but the style is definitely for those appreciating Balinese architecture with a bit of opulence. There is a spacious dressing area that had 2 sides. 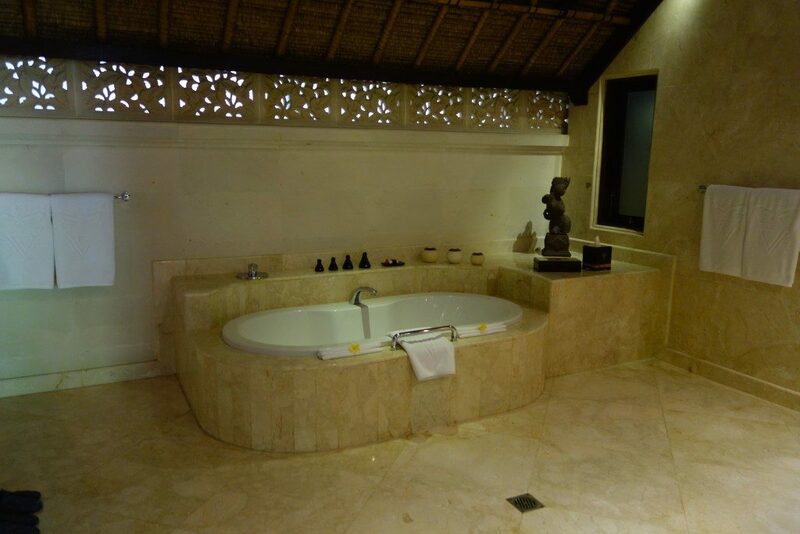 This villa is popular for honeymooners and it’s not hard to see why. The Bathroom is ultra spacious and marbled throughout with very dramatic lighting. Toiletries are homebrand in glass vials and have a very oriental-musky scent which I tend to like more than citrusy scents. It was quite tricky to capture the spaciousness and location of not just our villa but the entire resort using just a camera. Capturing it on video gives it much more justice so please sit back and watch. This is the video that Zombie and I had the most fun editing because it was just photogenic (or video-genic?) from all angles. Plus the timelapse shot that Zombie captured at 1am was really cool. 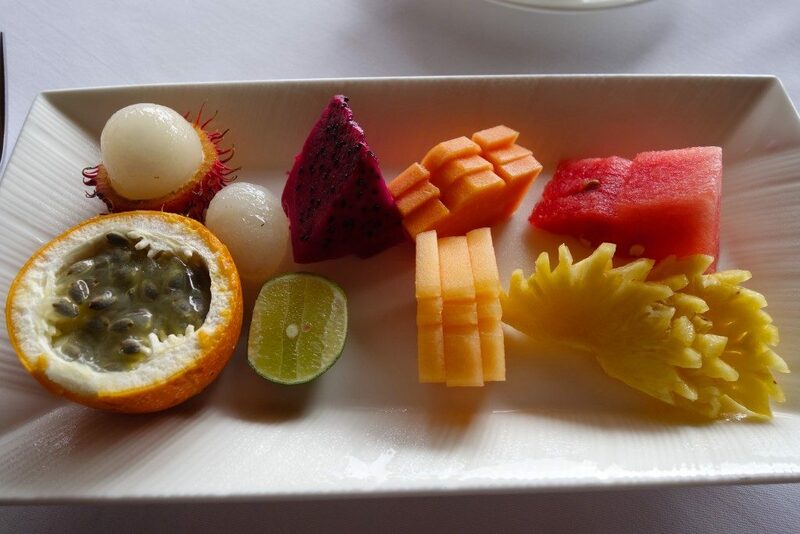 There is one restaurant at Viceroy Bali, Cascades. I would highly suggest getting a table that overlooks the valley as the restaurant is at the highest point of the resort. 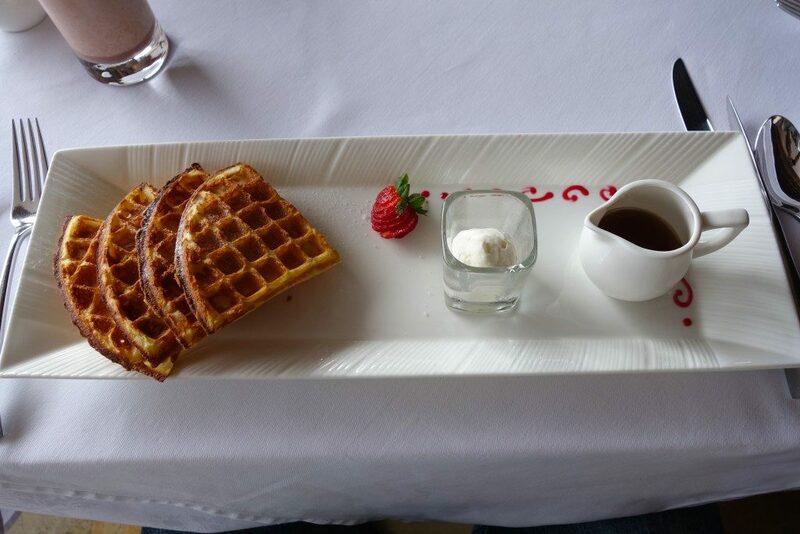 Breakfast is served a la carte and Zombie definitely enjoyed getting waffles every morning. 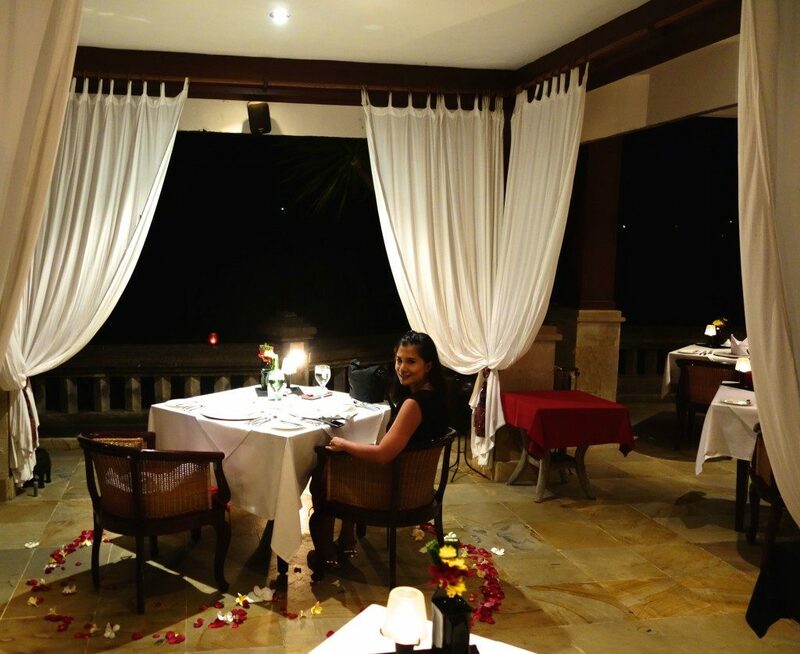 At night, Cascades transformed into quite the romantic venue as we had a set dinner complete with rose petals on the floor. 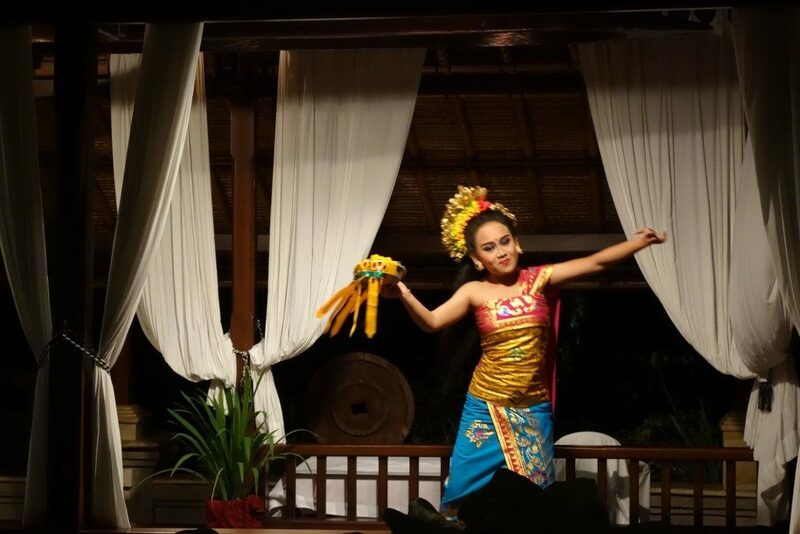 There was also a traditional Balinese dance performance at the beginning of the dinner. And then followed by a 2-man band (pianist/vocalist and a guitarist) crooning to classics by Stevie Wonder, Eric Clapton and John Lennon. 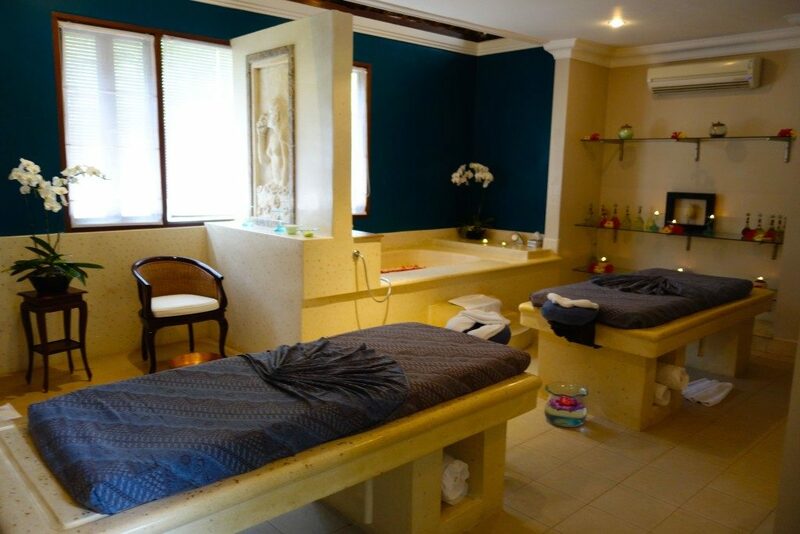 We were treated to a 2-hour couples’ massage during one of our afternoons and it was pure bliss. He was calmed and soothed after. If you’ve ever been wrapped in yogurt by some sheer chance- you will know that this is a comforting sensation (it was warm yogurt too). 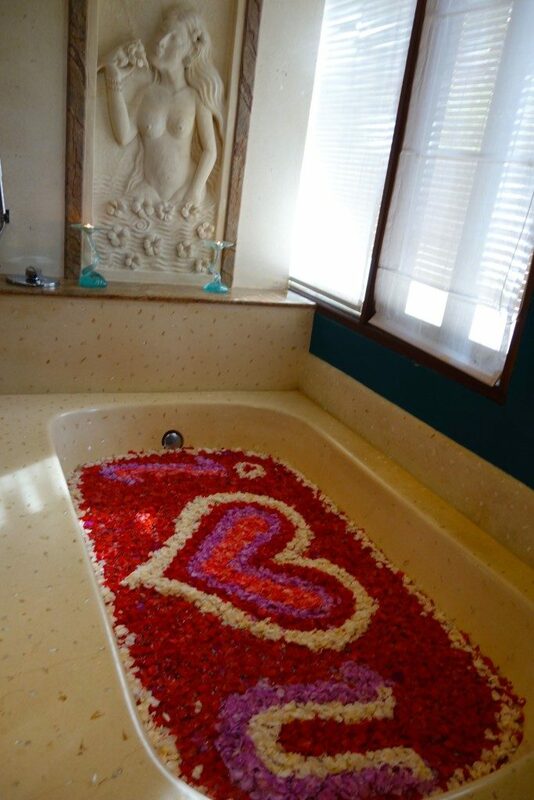 Yes the treatment was complete with a very cheesy but deeply appreciated last step tub, which I found too pretty to submerge in! In a place like Bali where luxury resorts and hotels are rife, unforgettable resorts are hard to come by but Viceroy Bali is really leaning close to a personal favourite of mine. The service is efficient but not intrusive or overly enthusiastic , as staff seem to know that guests here value privacy. I cannot pinpoint it to one single factor, but the overall environment and quiet atmosphere plus the secluded but luxurious surroundings really make Viceroy my kind of private hideaway. Do you prefer private and quiet getaways or a bustling holiday? 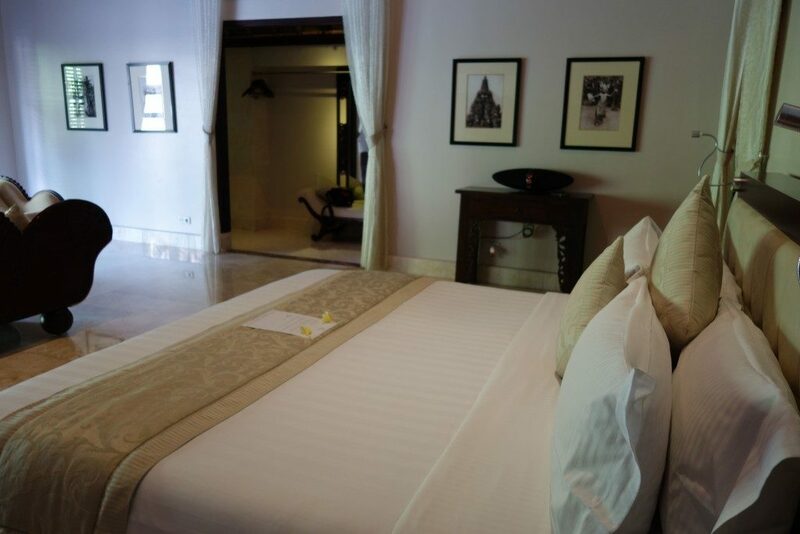 We were hosted by Viceroy Bali during our stay but all opinions and thoughts are ours. 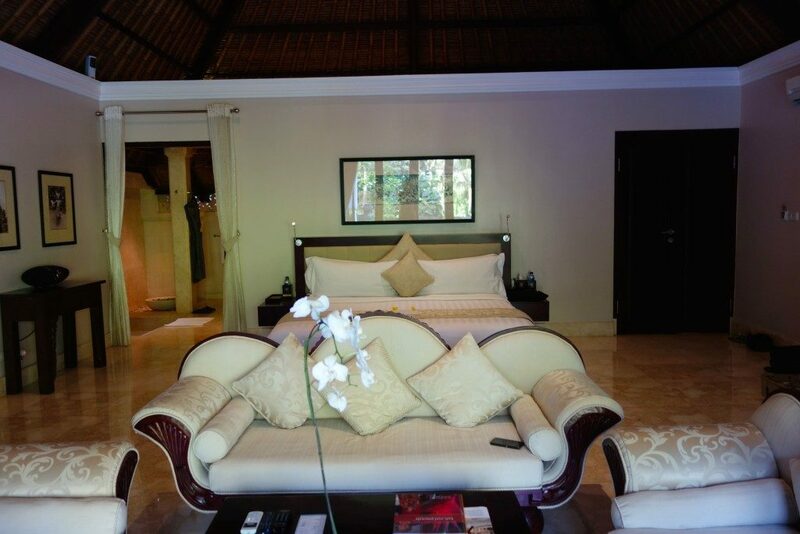 The Vice Regal Villa II starts at approximately AUD 878.00 a night. BOOK HERE. I so need to have a stay there completely on my own. 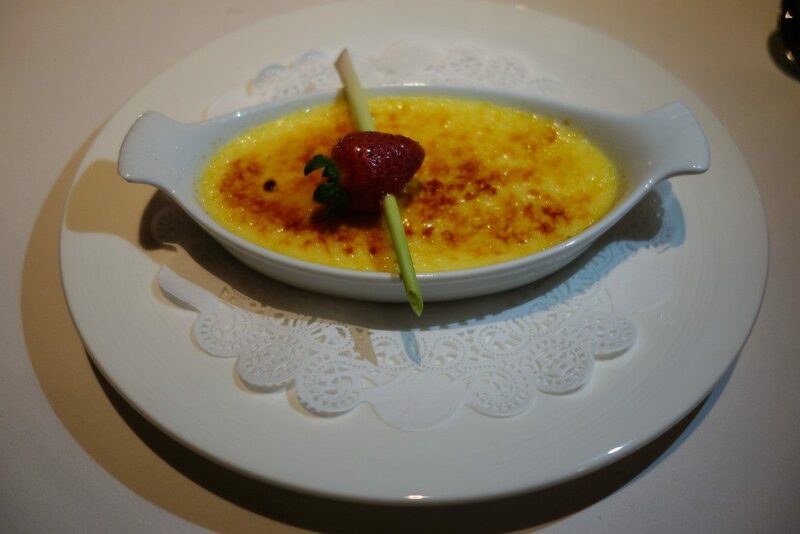 It looks divine. 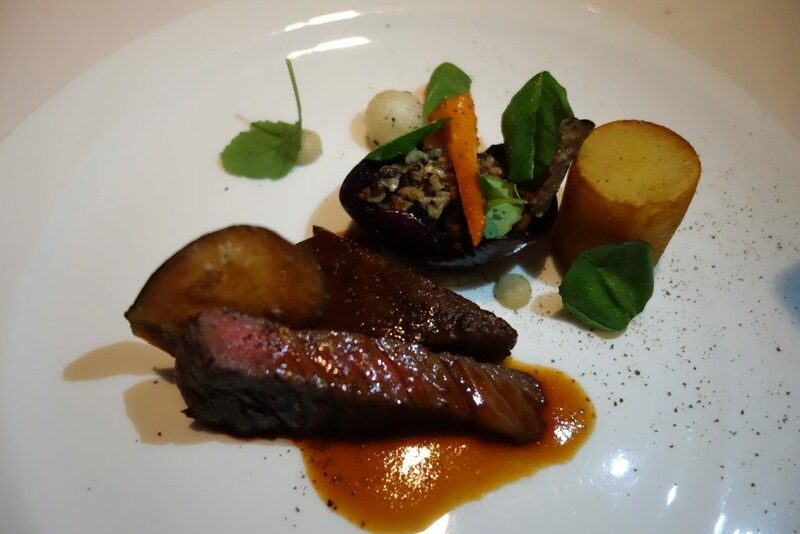 Another nice review!! Impressed also by the video, did you use a drone ? !